Lots of guaranteed daily games. Contests do not last longer than a day. Sign-up bonus only for UK customers. FanDuel has grown from a small 5 people team to a business with 79 employees across 3 offices across the country. They are paying out over $10 million every week to their players and have become one of the biggest Daily Fantasy Sports providers on the market, with the wide range of offered sports. With focusing on US sports like NFL, MLB, NBA and NHL fantasy players will find all they need to enjoy the DFS experience on the highest level. FanDuel is also running the World’s Largest Fantasy Football Contests, with billions of dollars in prizes each season to set the bar in the daily fantasy sports industry. Our in-depth FanDuel Review will give you all information you need to start you Daily Fantasy Sports experience and get the most out of it. Recently, the company has entered the UK market and that is why they are offering a huge 100% Up To £400 First Deposit Bonus for its new customers. Anybody who signs up through our link will be credited with this promotional offer. The deposit bonus is released at a rate of 5% for each entrance. Our following step-by-step guide will show you how to easily set up your account within a few minutes and benefit from our fantastic £400 First Deposit Bonus Offer. Please make sure to use our signup link to start the free registration process. You will now be redirected to their homepage, where you just need to click the ‘Join’ button in the top right corner. FanDuel provides the the widest range of daily fantasy games for all major sports, which include: NFL, NBA, NHL, CFB, CBB, Premier League and Champions League. They also offer multiple game types to choose from. Cash Games consist of Head to Head, 50/50s, Matrix Contests, Double-Ups, Triple-Ups, Quadruple-Ups. Ranging from $1-$1000+ you will always find a game on FanDuel. This is where the real money is to be made on FanDuel. With Prizes rising into the millions for first place, you are sure that day in and day out there are big guarantees that offer massive prizes for first. Buy ins range from $1-$1,000+ and the contests get from a few hundred to hundreds of thousands of entries. Create your own contests and invite your friends to play with you for some real cash prizes. 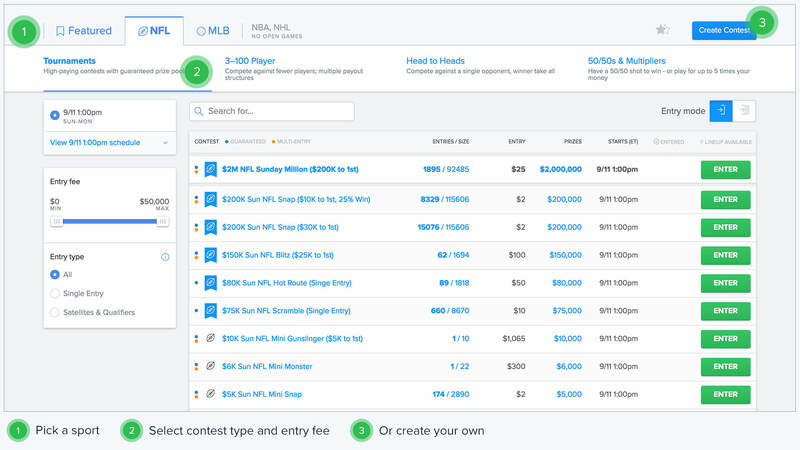 The FanDuel software allows you to easily choose and join your favorite contests. On the lobby page you can see all offered contests and sports types as well as all upcoming featured tournaments. With the available filter options you can easily find games that suit you. After clicking “enter” in the lobby you are brought to your lineup creation page. Here is where you draft a team that is used in the contests you join. There are two different options available to deposit to your FanDuel account. They accept credit cards and PayPal payments. Check the following table to some more details about all accepted payment methods. FanDuel also offers a Money Back Guarantee of up to $100 right after your first contest or first day of contests. The Money Back Guarantee is specifically for new players who did not enjoy their first FanDuel experience. If FanDuel is not for you and you take advantage of the Money Back Guarantee, you will receive a refund of your first deposit and your account will be closed. $10K NBA Survivor – The $10K NBA Survivor (“Tournament”) is a daily fantasy basketball tournament with an entry fee of $7. $50K NBA Survivor – The $50K NBA Survivor (“Tournament”) is a daily fantasy basketball tournament with an entry fee of $1. $1K NBA Survivor (Experienced Players Excluded) – The $1K NBA Survivor (“Tournament”) is a daily fantasy basketball tournament with an entry fee of $1. $5K NBA/UCL Cross Sport Survivor – The $5K NBA/UCL Cross Sport Survivor (“Tournament”) is a daily fantasy basketball and soccer tournament with an entry fee of $3. $10K NBA/NHL CROSS SPORT SURVIVOR – Prove your mettle in fantasy basketball AND hockey, and you could score a share of $10,000 in cash prizes. NBA Single Entry Series – Six straight weeks of single-entry contests, and $64,800 in prizes up for grabs. Each week, we’ll feature a different Single Entry Series contest that counts towards your ‘Series total’ for that week.Only your best four lineups count in a given week. That means you can play as much as you want for seven days, and we’ll drop your lowest scores. 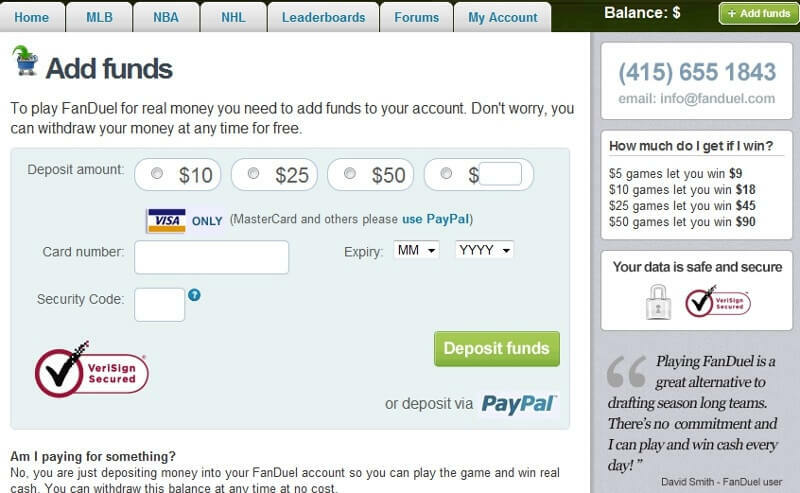 In July, 2009, FanDuel was started by a company called Hubdub. Using $1.2 million in venture capital funding from Scottish Enterprise and Pentech Ventures, the five co-founders created a company which should change the sports market for ever. In 2010, they successfully held their first Championship – the FFFC. All in all, the event comprised ten users who won entry into the event by succeeding in a qualifying league during the NFL season. The first place received $25,000 and the total prize money was roughly $40,000. In 2013, they made an announcement that it had managed to close Series C funding round with around $11 million. The round incorporated investor Comcast Ventures, as well as previous investors such as Piton Capital, Bullpen Capital, Richard Koch, and Pentech Ventures. In 2014 FanDuel already payed out over $500 million in winnings and took in $50 million in fees. In 2015, they managed to increase their payouts to more than $1 billion, which means around $100 million in revenue. They also revealed an important partnership contract with the NBA. 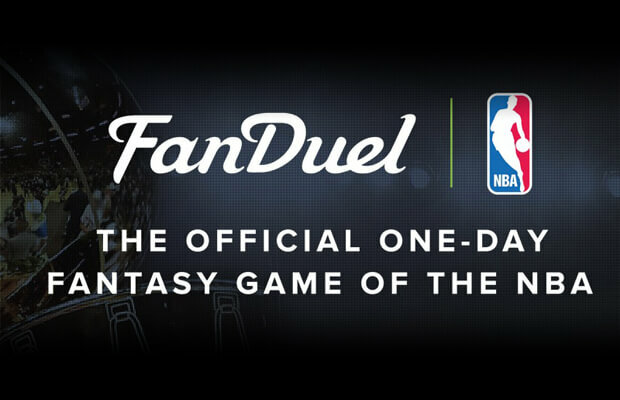 The association gained an equity stake in FanDuel and would be promoting them in its games. They now have a $1.2 billion valuation using multiple techniques analysts apply to the industry. With covering about 70% of the daily fantasy market they are the biggest company for daily fantasy sports on the market. They have partnered with over 17 NFL teams and 15 NBA teams. Competitor DraftKings, which has raised about $85 million, covers the rest of 30%. In 45 of the 50 US States skill based gaming is allowed and thus makes FanDuel legal in these US states. Besides the US, they also have a large and growing customer base in Canada. The main sports competitions featured in fantasy games are located in the US and Canada which is the reason that a huge part of their customer base is in North Americans. 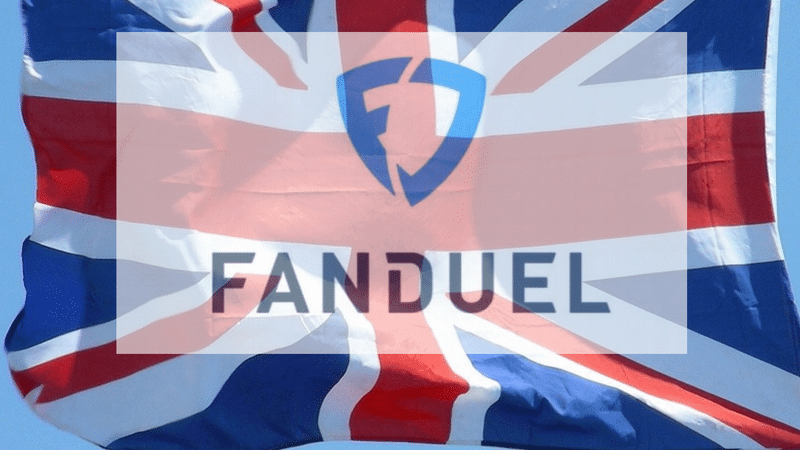 In February, 2016 FanDuel entered a new big market – the UK. Even though they are a UK-based company, it took them more than 6 years to apply for and receive a license there. In the UK, they are focusing on soccer (English Premier League and Champions League), and not on the United States and Canada variety that made FanDuel so successful. 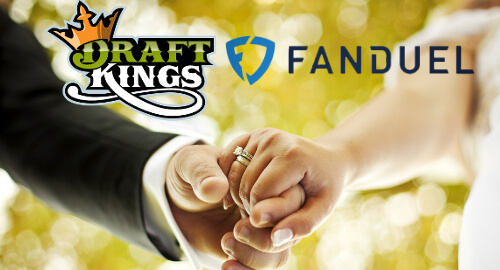 In November 2016, after both companies had a turbulent year, due to some attorneys questioned the legality of their games in some states, FanDuel and DraftKings announced to join forces and they agreed to merge. The merger must be approved by regulators first and it is expected that the deal will not be closed before the second half of 2017. 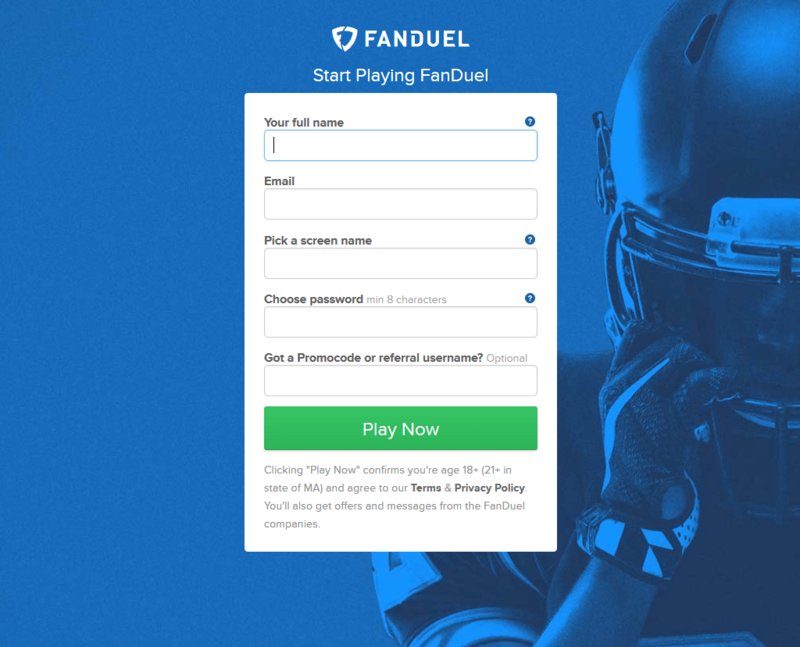 FanDuel has one of the best mobile applications for Daily Fantasy Sports. Navigating through your teams and seeing where you rank in each contests works smoothly. The app basically allows the same features as the website and thus allows for a total gaming experience. You can see which sports and contests are available to play. Of course, you can also enter contests and create your own contests for you and your friends. Besides that, you can add funds directly from the app and you can always check your up to date scoring. You can use a mobile app for all your Android and iOS devices. The iOS app can be downloaded from the Apple Play Store and the Android app is available for free in the Google Play Store. To download the Android app just click the following button and follow the instructions on the FanDuel Mobile website. Please note, you will also find several other sources where you can download the android app, but we would highly recommend to not use apps from an unknown source and only use the app from the original app from their homepage. Rake essentially is commission taken by the operator from a small percentage of your contest fees. For example, when you see a buy in of $50 on FanDuel, 10% of that $50 are taken as the rake when you join the contest. 44 US states allow DFS, thus FanDuel is completely legal there. Only customers from Alabama, Arizona, Delaware, Hawaii, Idaho, Iowa, Louisiana, Montana, Nevada, Texas, Washington are not allowed to open an account. Besides America, clients from Canada and the United Kingdom are allowed (blue) to use FanDuel.